Deep below a desolate Utah mountain lies the largest platinum deposit ever discovered. A billion-dollar find, it waits for any company that can drill a world's record, three-mile-deep mine shaft. EarthCore is the company with the technology, the resources, and the guts to go after the mother lode. Young executive Connell Kirkland is the company's driving force, pushing himself and those around him to uncover the massive treasure. But at three miles below the surface, where the rocks are so hot they burn bare skin, something has been waiting for centuries. Waiting...and guarding. Kirkland and EarthCore are about to find out first-hand why this treasure has never been unearthed. This was a fun read! It started a bit slow, with a lot of character and plot building, but I was soon hooked on the story. What was happening in that cave? Who would get to the truth first? And who would survive? I found the characters well presented, giving them background and depth to make them more interesting. Although the backstory of one of them, Kayla Meyers, could've been without the explicit telling about the abuse she went through as a child. Way too detailed. There were no real heroes, IMO, in this book. No anti-heores either. Just people, making them more interesting to follow. The secret down in the caves was cleverly revealed, making me want to find out more and more, faster and faster. It was hard to stop listening, the further down they got. Awesome Book. Well written and very creative! This book was very hard to stop once I started. I really enjoyed everything about it. I like how it's a mystery science fiction book and seems to be poised for a series. The characters are very well developed and each have true motivations. I like the way Sigler takes the time tell the story. He really doesn't rush anything. He is clearly a very creative person with a big imagination. I can also tell he spent time learning about the mining industry. What would a sci-fi book be these days without cool technology and of course guns? He delivers on the tech side and gives us some nice action scenes. The Kool suits are badass. I wouldn't have minded him expanding the gun/black ops aspect but it seems that will be coming in the next book if there is one. Overall I highly recommend the book and really look forward to the next one. Now for Ray Porter. 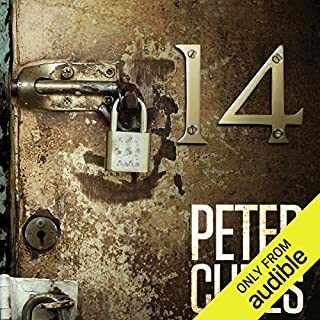 He is the best narrator on audible right now. 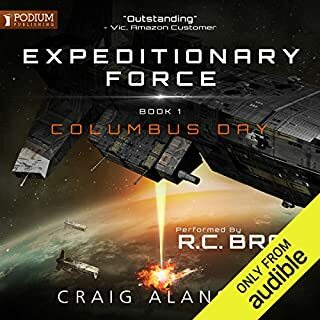 I enjoy listening to books and for me the narrator is a big factor for the books I choose. Ray gives an amazing performance in Earthcore. He makes the book rise up and brings each character to life with unique voices. I also enjoyed the little bit of production in there. They use a little sound in between each intense scene to kind of accent the moment. Usually that type of thing is annoying but it works great with Ray Porter's bad@ss performance. I enjoyed the story and imagination used to write it. There were plot twists that kept me hooked. I've listened to two books by this author and both have been gems, I struggled with spending a credit on the author for the first one and couldn't wait to spend it on this one. do yourself a favor and get this book. What did you love best about Earthcore? Fast paced, bogged down a little bit in the middle, but overall kept my interest through the whole 19 hours. The character development. I felt like I really got to know (most of) the reasons the characters reacted the way they did. Mr. Porter is hands down my favorite narrator and was a perfect choice for this book. I have listened to almost everything he has done. This was an automatic buy for me, and did not disappoint. Why is this not a movie already? Well worth the credit, highly recommend. Great fun. Excellent narration. I will be looking for more by Scott Siegler. Awesome experience! 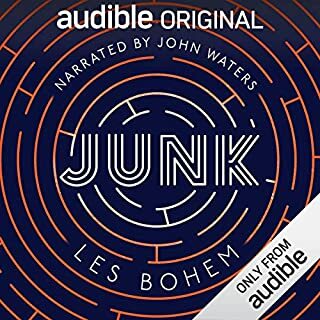 One of the best books I've listened to. Great story and as always, Ray Porter knocks it out of the park. 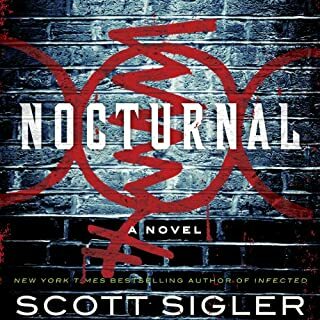 yet again Scott Sigler never disappoints. Ray Porter is a great reader I'll look for him in the future. I bought this book knowing nothing about it. I was looking for a book which combined a fast-paced story with characters that actually seemed real. I was not disappointed. This book provided all of that with a somewhat unique thriller edge to it. 20 hour books sometimes have a lull but noooooo way did this. Good characters and excellent narration. I've been waiting for this for so long and was worried that I'd overhyped it to myself. But no, not at all! This is one of those stories when I found myself parked in the drive listening to the end of a chapter and wondering whether I could listen to another before stopping for the night. It also made me late for work. Loved the storyline, loved the characters and the ending. Hoping for a sequel. love this book, it kept me listening long into the night and never once getting board. What did you like most about Earthcore? 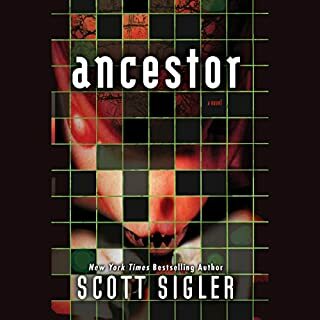 Easy flowing story, interesting characters, nice dark sci-fi. Have about 4 hrs left... always enjoy switching on the mp3 and seeing what's around the corner. An imaginative journey. Cringily cheesy dialogue in places. Certainly not the best book I've ever read but kept me entertained for 20 hours. 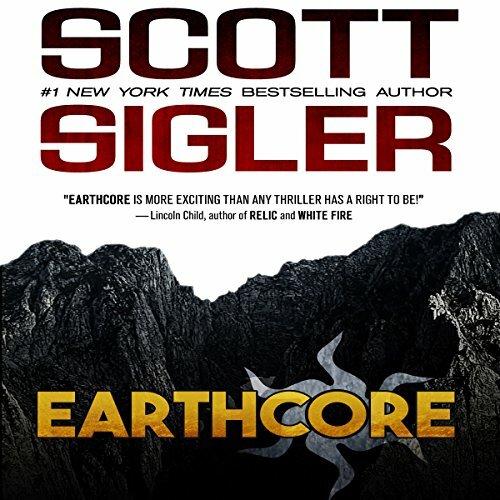 I have followed the author for years and Earthcore is one of my favourite books. it contains solid science married with outrageous yet possible innovations PLUS a possibility of other life forms. I love Scott's work and so am very delighted by this book. it is very tasty. 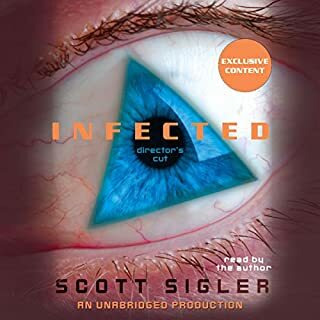 This was the first of Scott's books that i read and i loved it, have been following his progress ever since and the Siglerverse stories. The narration is very good too. i feel better for having listened to this. This was completely not what i expected. SO MUCH BETTER. sorry for yelling but this is a must. This is a well written book, but couldn’t really engage with with story.